Hi everyone! On the renovation front, our laundry space is DONE... at least from a construction standpoint. Yay!!! It's actually been done for a few weeks, but I seem to be a slow poke in giving updates. 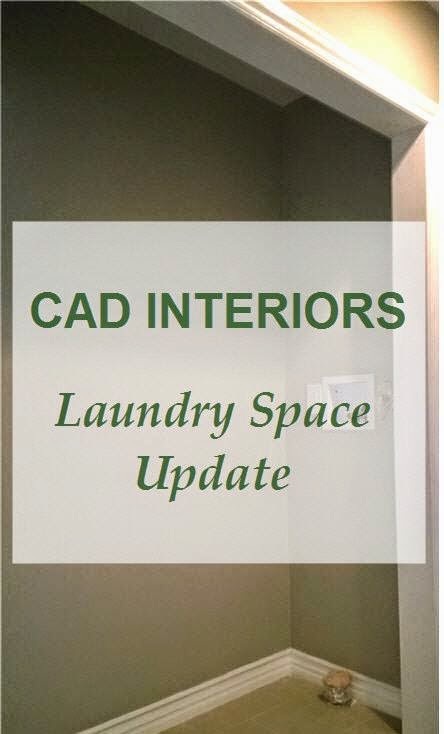 Although the "shell" of the space is done, it isn't functional since we haven't purchased the actual laundry units! Ha! To our defense, we've been waiting on the main bathroom renovation (which is happening directly across the way) to finish before we bring in the new stackable units. Let me recap. 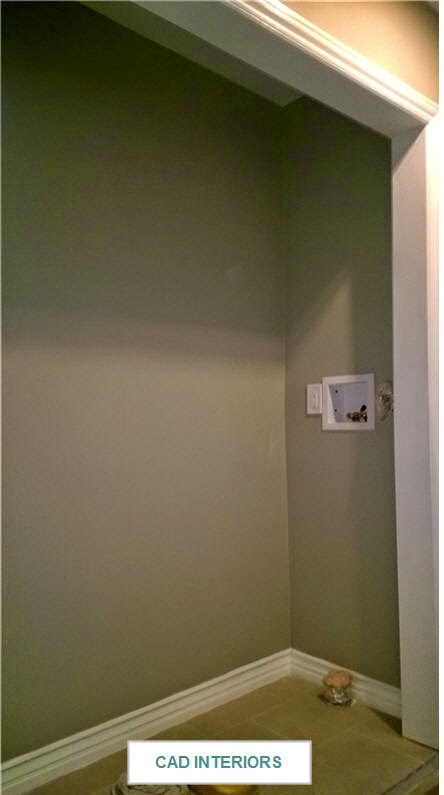 We constructed a laundry space in the hallway by combining two small closets into one closet. It is a practical location since it is on the "bedroom" side of the house (where we change and get dressed). Floors, walls, ceiling, paint, trimwork, electrical, and plumbing are all done. 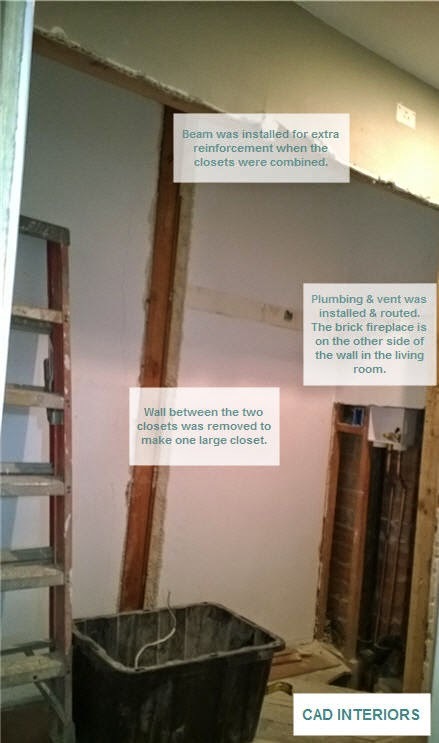 Click here to read why the plumbing was installed in its location. 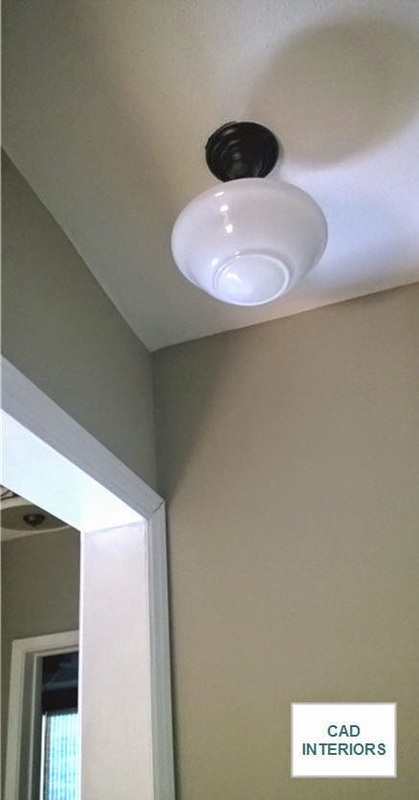 The latest addition to the space was a light fixture. 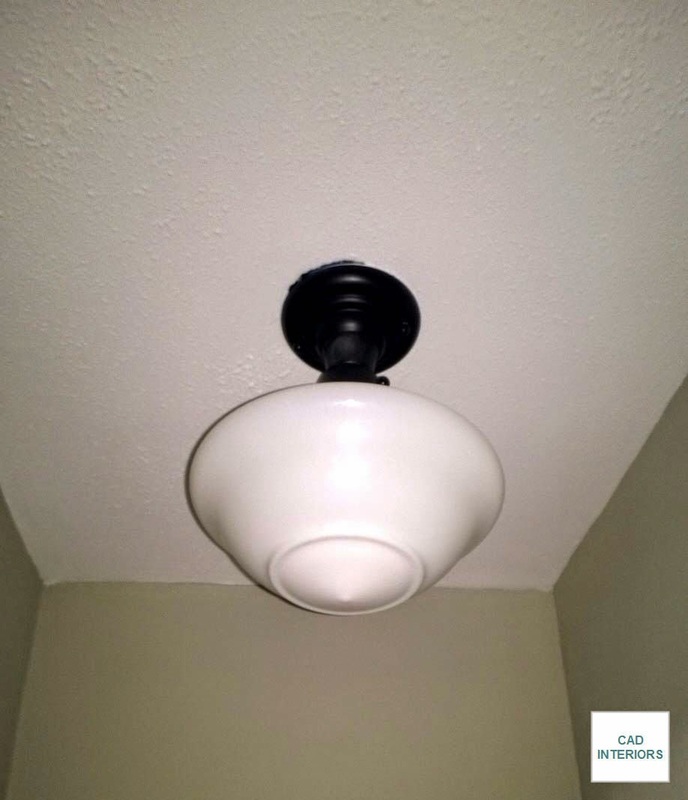 We were originally supposed to have a simple recessed light, but there wasn't enough space between the joists and ceiling. I have always loved the classic schoolhouse pendant, so this was the perfect opportunity to install one!